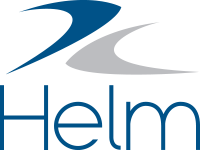 In Helm CONNECT, auto-numbers allow you to add unique identification numbers—such as work order or purchase order numbers—to specific types of work. You can auto-number tasks, requisitions, corrective actions, inspections, maintenance routines, inventory counts, and forms. To control how your auto-numbers look and behave, you configure number rules on the Number Rules tab in Operations, on the Setup menu. For example, in your rule for tasks, you could say you want each number to be three digits long and start with the prefix "WO-." Once you add a rule, the numbers are automatically included on all new instances of the selected work, and they're included in history and reports. From the Setup menu, select Operations. Click the Number Rules tab. Use the Name field to enter a name for the number rule. From the Type list, select which type or types of work the rule should apply to. Note A number rule can apply to multiple types of work, but each work type can only have one number rule. You'll see a warning if you select an work type that already has a number rule. (Optional) Use the Prefix and Suffix fields to customize the appearance of your numbers. These can be any combination of numbers, letters, or symbols, and can even include spaces, but they each can't be more than ten characters long. (Optional) Use the # of Digits field if you want a fixed-length number and want the system to display leading zeroes when necessary. (Optional) Use the Last Number field to control where the sequence of numbers starts. If you don't specify a number, the system will assume the last number is 0 and start at 1, preceded by leading zeroes if you specified a number of digits. Can you edit or delete an existing number rule? Although it's possible to edit or delete an existing number rule, please think carefully before you do. Once you edit a number rule, new work will be assigned the updated number rule, but all previous work will keep its original number. In other words, any changes you make to your number rules don't impact numbers that were already assigned. If you make the last number less than the last number assigned by the system, you could create duplicate numbers for that type of work. Let's say your most recent task was automatically assigned the number 1000. If you edit your number rule for tasks, and enter 999 in the Last Number field, the next task will automatically be assigned the number 1000 again, which means you'll have two tasks with the number 1000. Although you could get around this by changing the prefix or the suffix as well, we still suggest you try to avoid this situation. Helm CONNECT will warn you if you try to make the value in Last Number field less than the last number assigned by the system. Once you delete the number rule, new work will no longer be assigned a number. However, any work that already has an assigned number will keep its number. In other words, any changes you make to your number rules don't impact numbers that were already assigned. If you delete a number rule, then create a new number rule for the same type of work and make the last number for the new rule less than the last number assigned by the system with the old rule, you could create duplicate numbers for that type of work. Let's say your most recent inspection was automatically assigned the number 500. If you delete your number rule for inspections, then create a new one and enter 499 in the Last Number field, the next inspection will automatically be assigned the number 500 again, which means you'll have two inspections in your system with the number 500. Although you could get around this by changing the prefix or the suffix as well, we still suggest you try to avoid this situation. How do auto-numbers work on your assets? If you've configured some number rules, your work items will be auto-numbered, regardless of whether they're completed on shore or on your assets. However, to prevent any data syncing conflicts, work completed on your asset installations will have an additional number prefix that represents which asset installation completed the work.